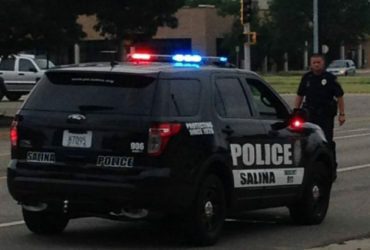 A concert honoring all active military, veterans and first responders is planned in Salina. 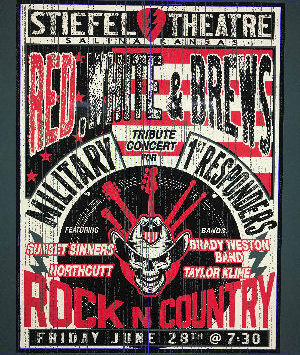 The Red, White & Brews patriotic tribute concert is coming to the Stiefel Theatre in June. Red, White & Brews will feature Country, Red Dirt, and Southern Rock bands Sunset Sinners, Brady Weston Band, Northcutt and Taylor Kline. The Stiefel Theatre will have some special patriotic brews for this event, along with all of the USA made domestics to provide everyone a great time and show our appreciation to all active military, veteran and first responders. Red, White & Brews is scheduled for Friday June 28th at 7:30 pm. Reserved tickets are $40, general admission is $20. Tickets go on sale today.